We are very excited to announce that Tereza Marks has joined Pawsitive Alliance as our Executive Director. Tereza Marks been involved in animal welfare for over 20 years, since she helped lead a grassroots movement to make progressive changes in an animal shelter outside of Washington, DC. She has served on boards of animal welfare organizations in Maryland, Virginia, and Florida, and as Executive Director of both local and regional, animal and environmental organizations. Most recently, Ms. Marks was the Executive Director of Eastside Audubon Society. She also has extensive experience in post-secondary education in the biological and environmental sciences. She has a bachelor’s degree in ecology from the University of Arizona, a master’s degree in life sciences from the University of Tennessee, and recently completed a graduate certificate in nonprofit leadership and management through Capella University. She lives in downtown Issaquah with her husband and two rescued dogs. Please join us in welcoming Tereza to Pawsitive Alliance. Visit our Current Events page for more information! 05/08: Save the date for GiveBIG! 11/02: Save the date for Pawsitive Futures! If you are interested in donating an item for the auction, please fill out our form here. Our #WhynotMEpets campaign is the recipient of the Healthy Paws Foundation's grant for 2019! This means more homeless cats and dogs will get help finding their forever homes in Washington State. Thanks to the Healthy Paws Pet Blog for highlighting our #WhynotMEpets! Thank you to Healthy Paws for your commitment to the animals! Pawsitive Alliance is working across Washington to help cats and dogs in need because we believe they all deserve a chance. 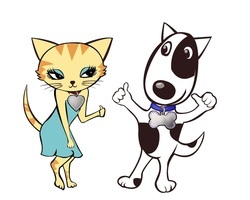 Our Mission is to help end the euthanasia of cats and dogs in Washington by increasing adoptions, supporting spay and neuter programs, and improving pet retention. Our Vision is a healthy and happy home for every cat and dog in Washington. ​7,717 pets have found homes through our adoption events! ​Meet our our current #WhynotMEpets HERE! Watch a fun video highlighting our Adoption Program and events by visiting here. Want to support the lifesaving work of spay and neuter? You can simply by purchasing a “We Love Our Pets” license plate at www.wafederation.org. Pawsitive Alliance is a 501(c)(3) registered nonprofit organization that organizes pet adoption events, spay/neuter and educational programs.